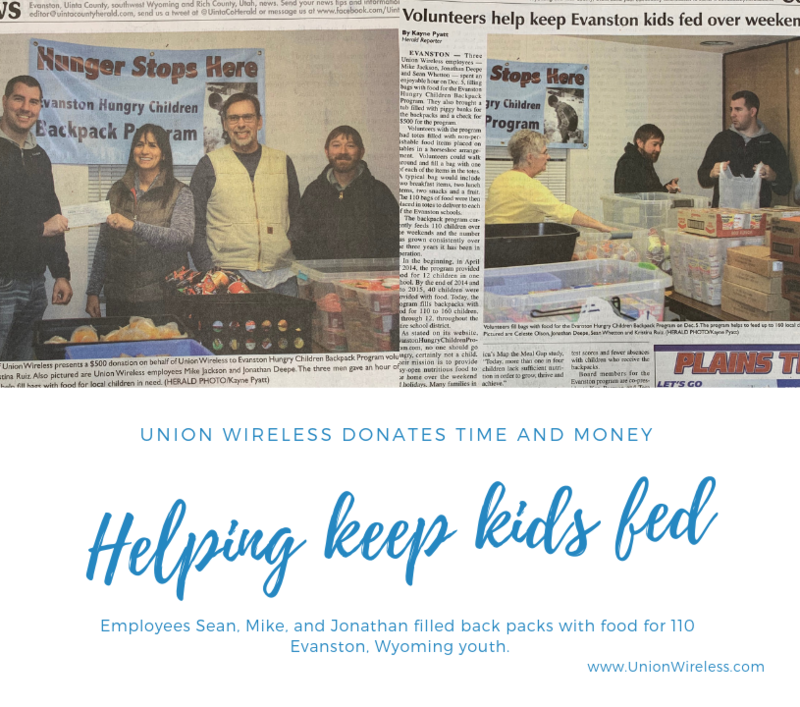 On December 5, 2018, three Union Wireless employees, Mike Jackson, Jonathan Deepe, and Sean Whetton donated their time to help fill backpacks with food for the 110 children registered with the Evanston Hungry Children Backpack Program in Evanston, Wyoming. The bags were filled with non-perishable foodstuffs and a donation of $500 was given by Union to help this community organization. The program runs nationwide and with its positive influence in the community, is destined to be around a very long time. If you are interested in donating your time or money, contact Tera at 307-679-3234 or Ken at 307-679-1840. You can also visit their website at http://www.evanstonhungrychildren.com.